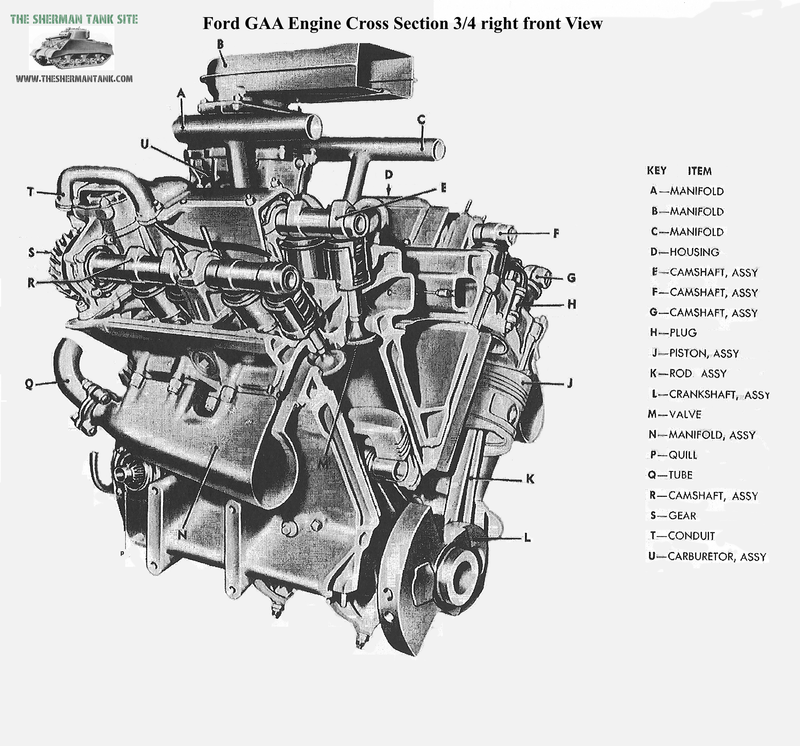 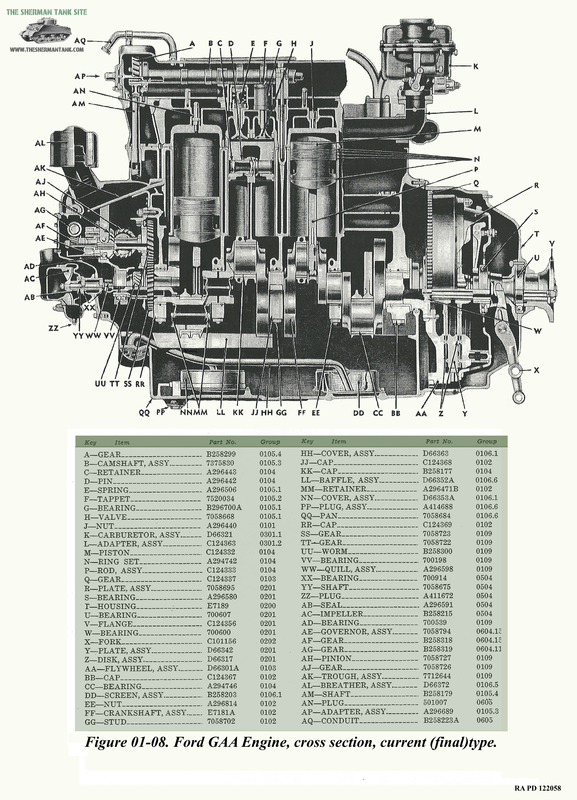 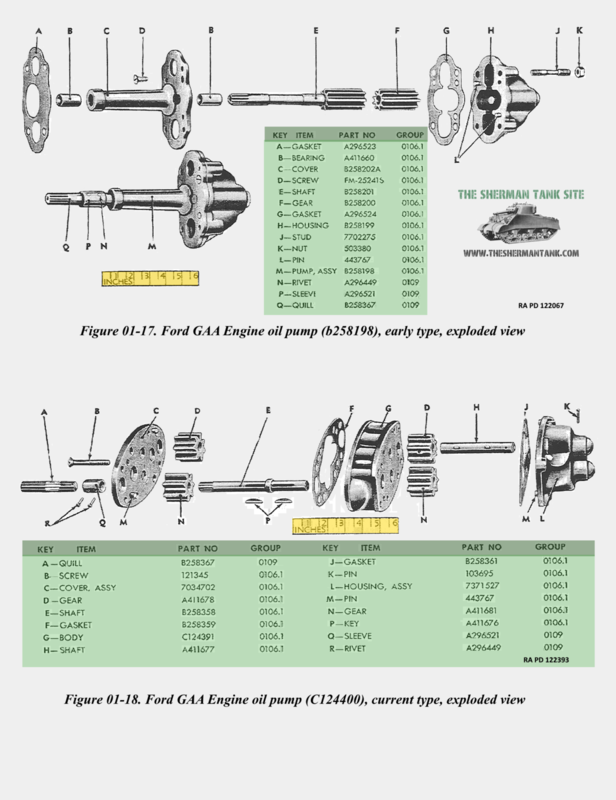 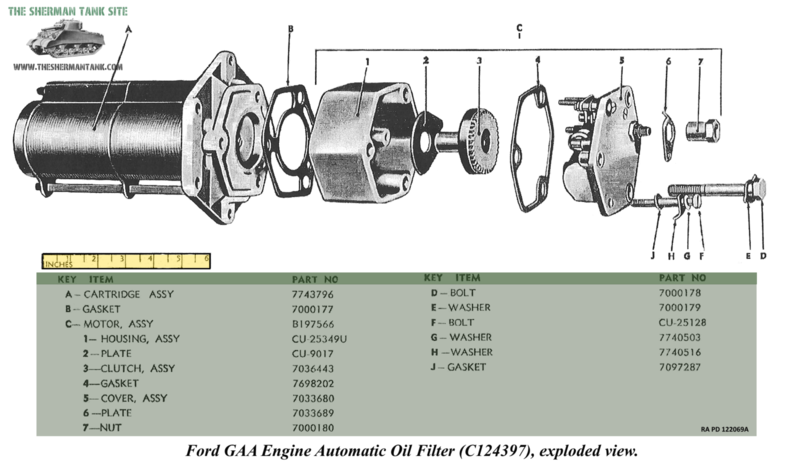 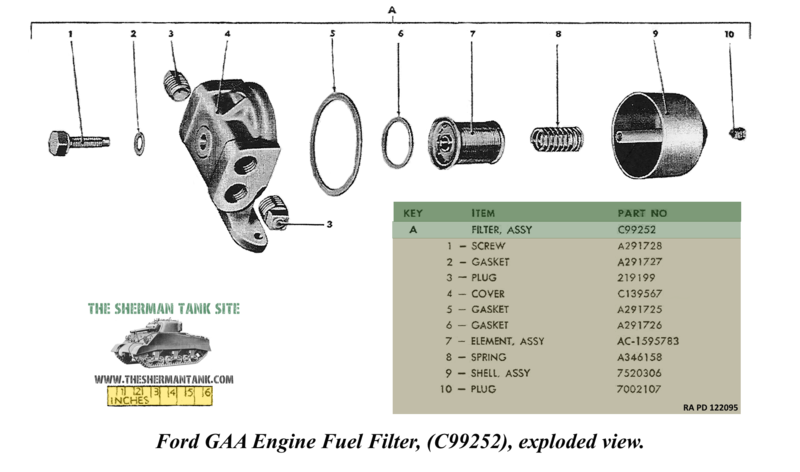 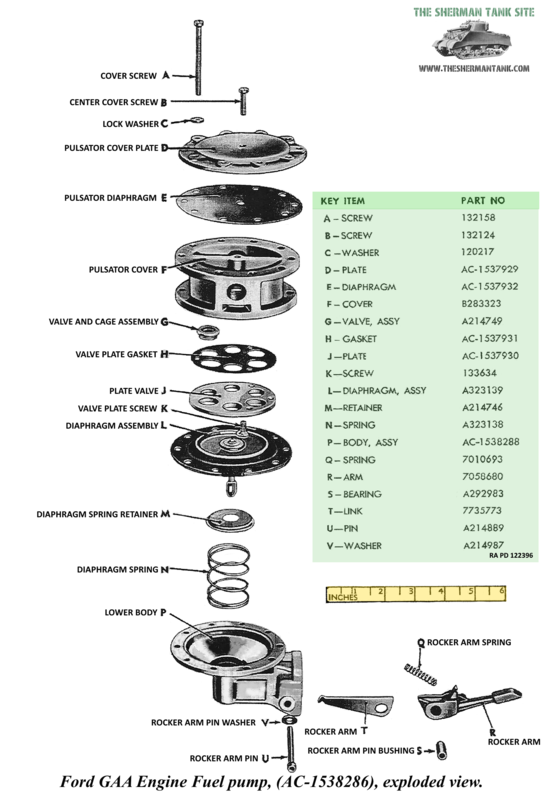 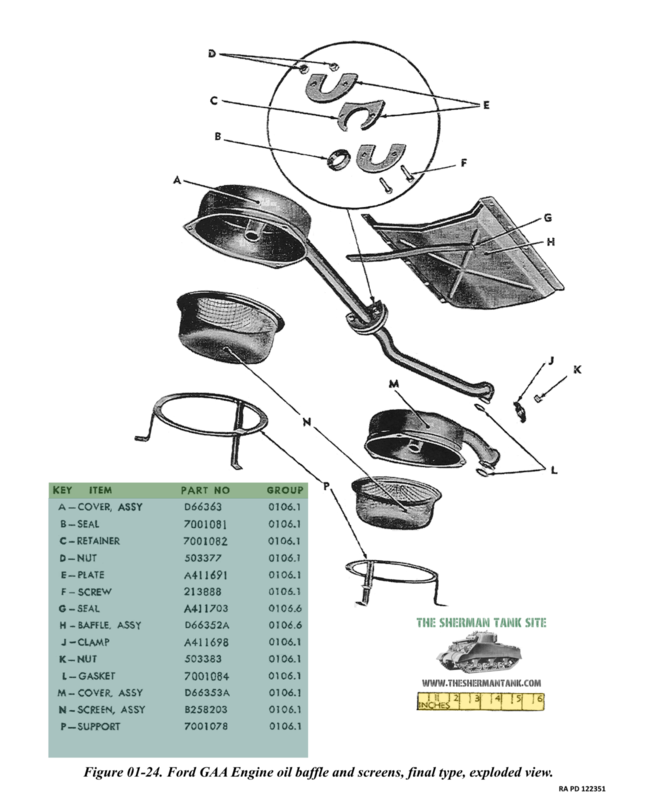 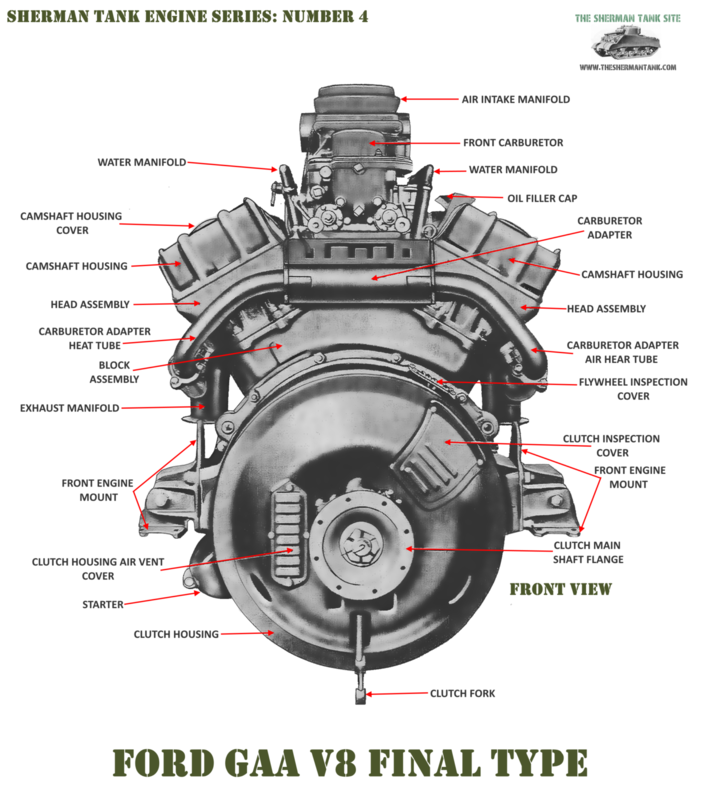 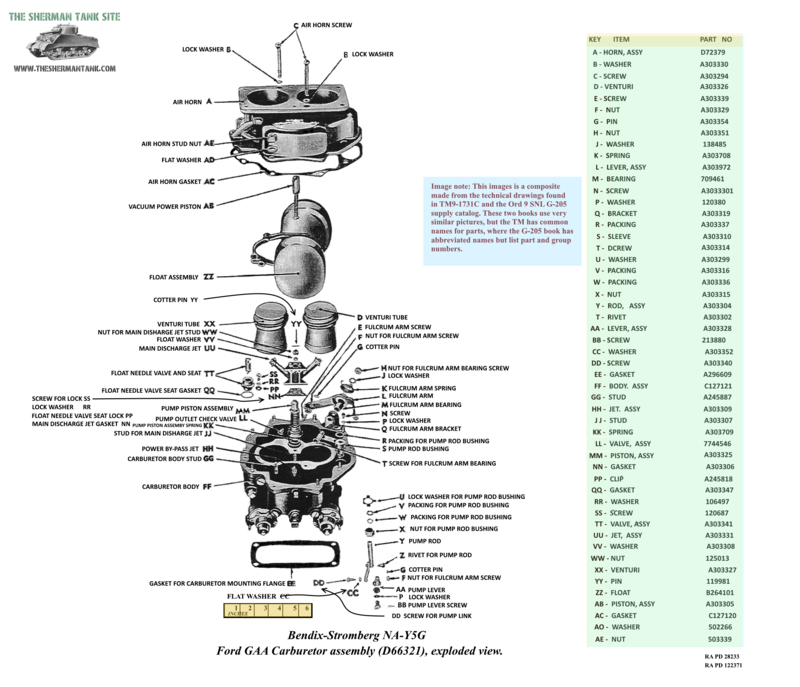 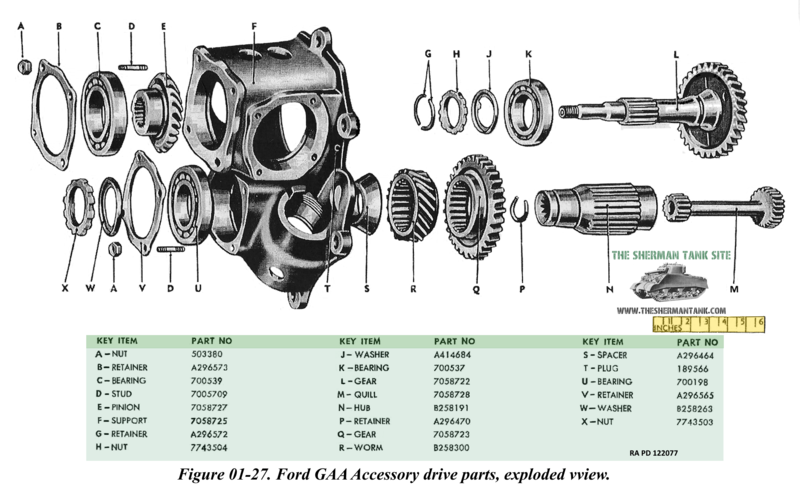 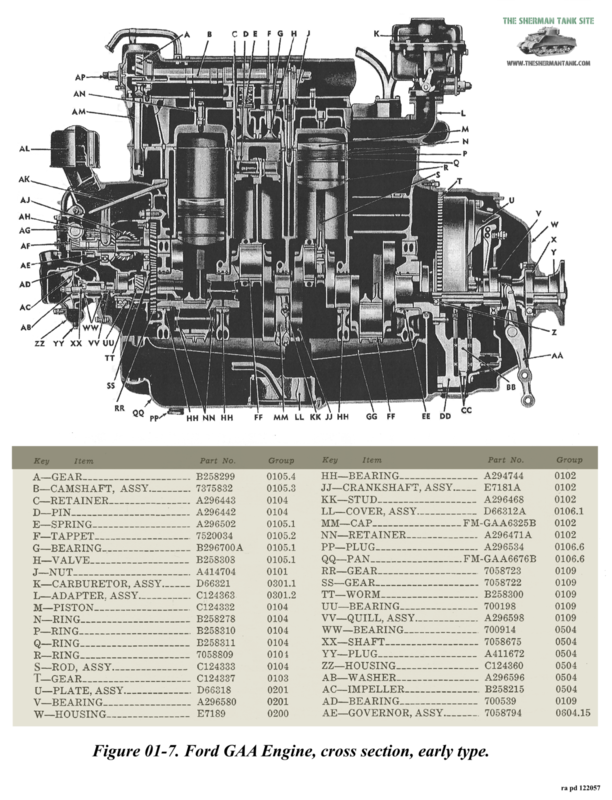 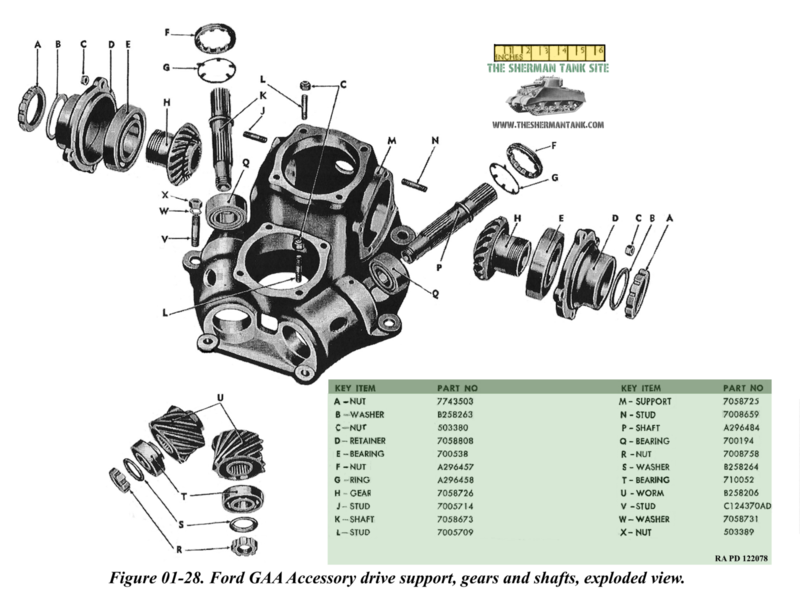 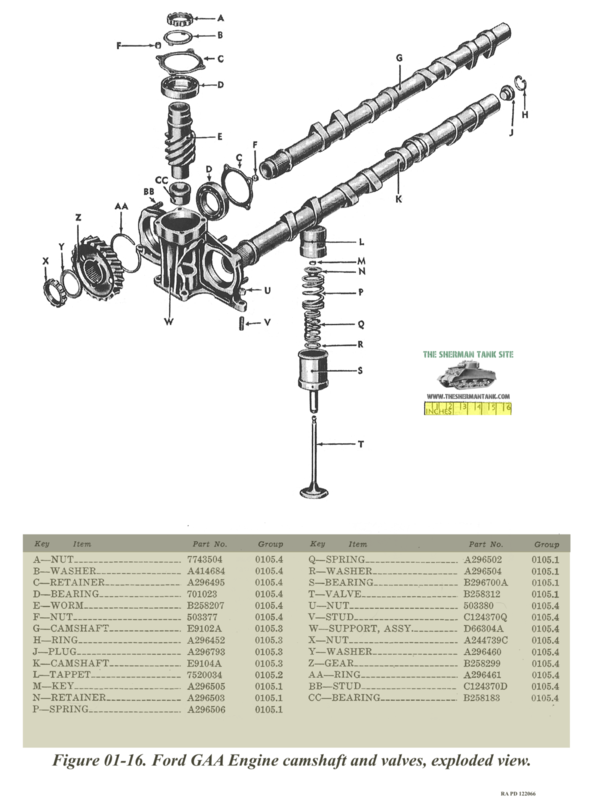 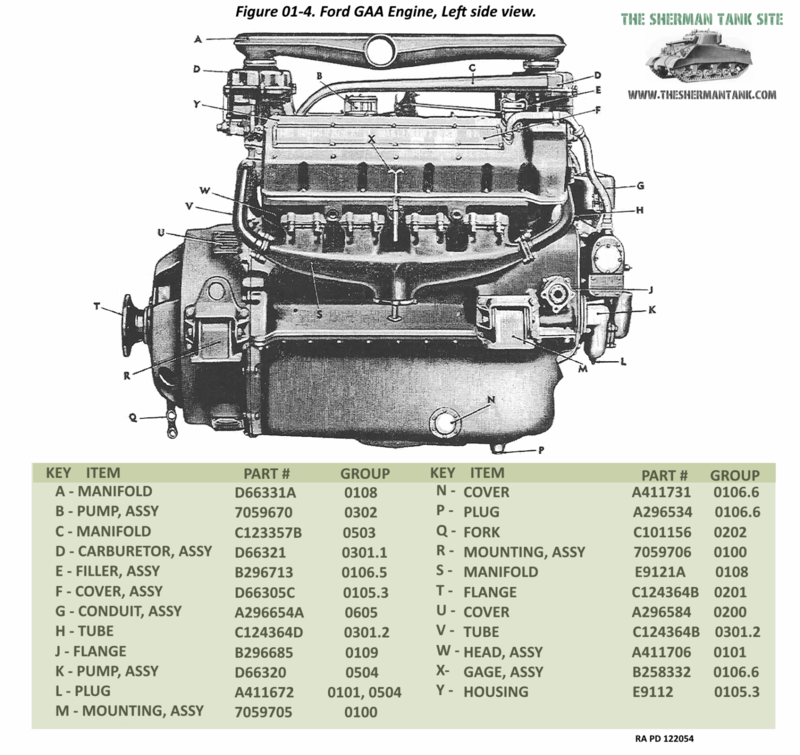 This page will be an easy to find page for all the data and technical drawings I’ve found on the Ford GAA. 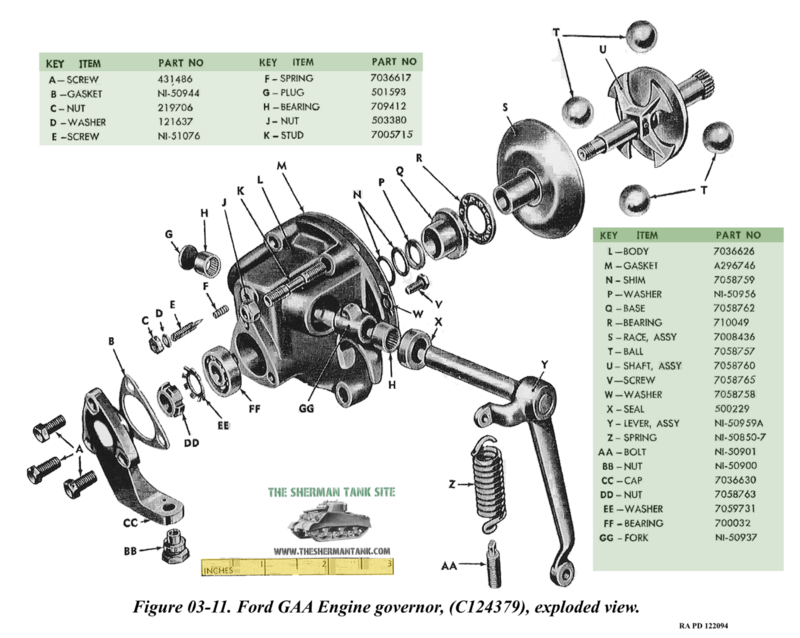 The Ford GAA only made it into one Lee as a test bed. 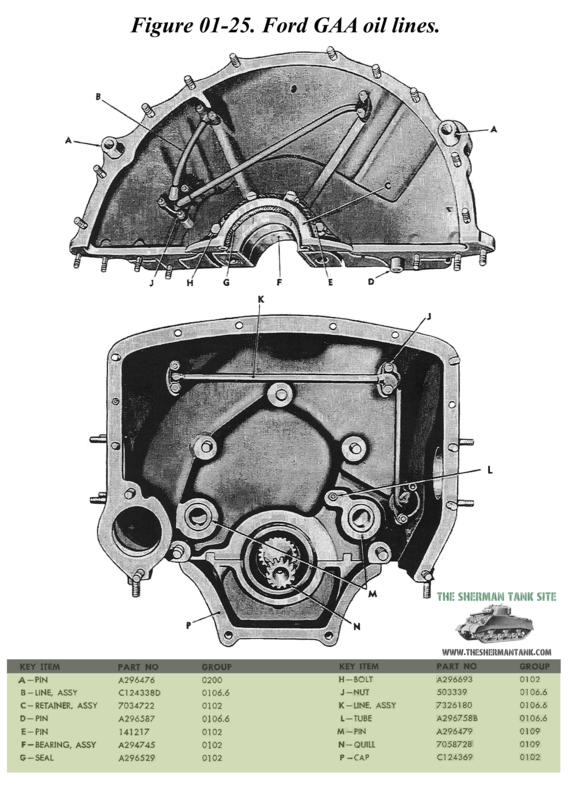 But it powered a lot of Shermans, both large and small hatch. 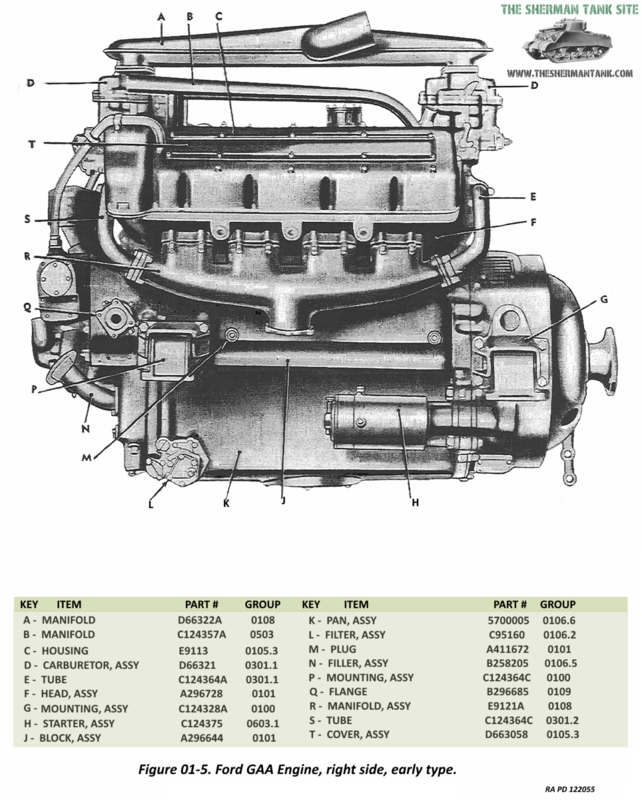 It would go on to be the motor of choice for the US Army for the rest of the war, and in the next tank, the M26. 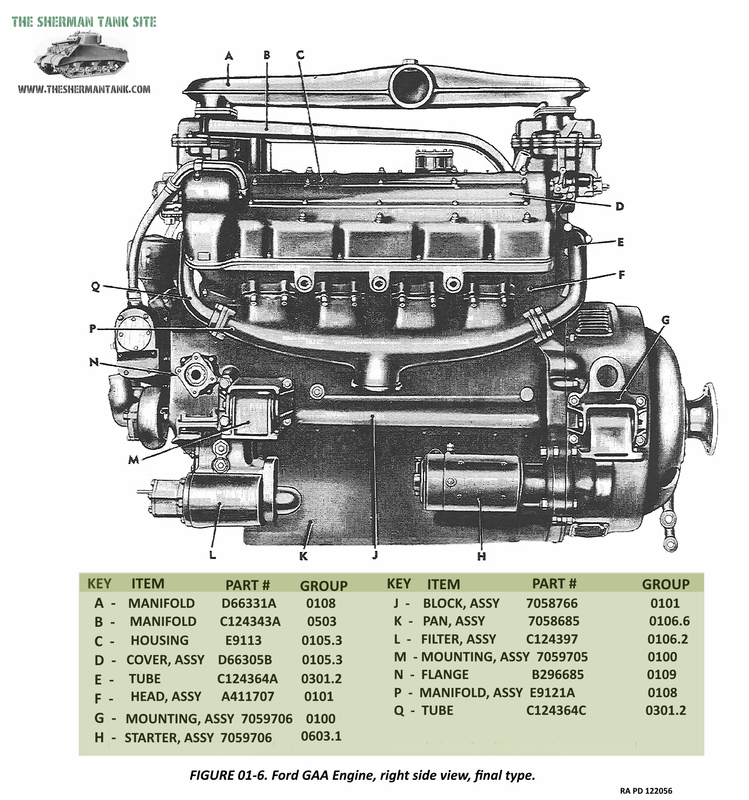 After these vehicles, the Army moved onto air cooled V12s for several reasons and the air cooled V8 went by the wayside. 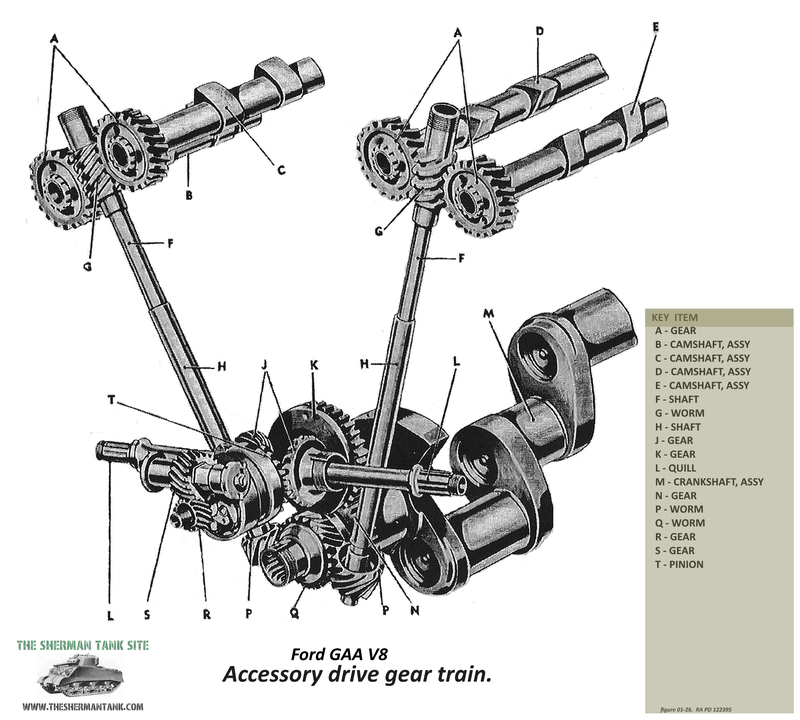 The GAA will be the best of its type for a long time to come if not ever. 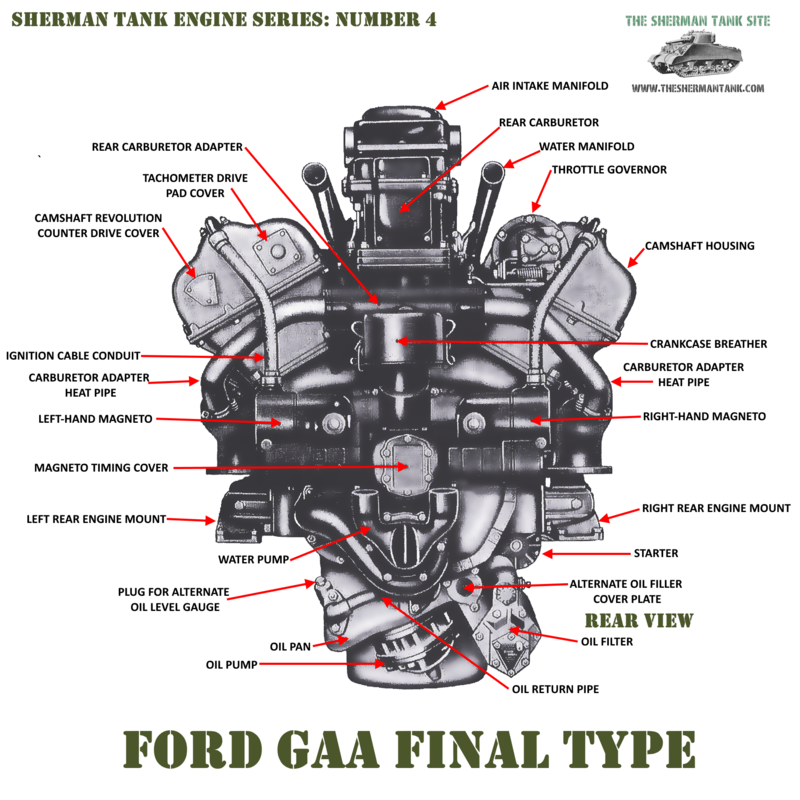 The GAA is really a much better motor for a tank in the Shermans weight range than the R975. 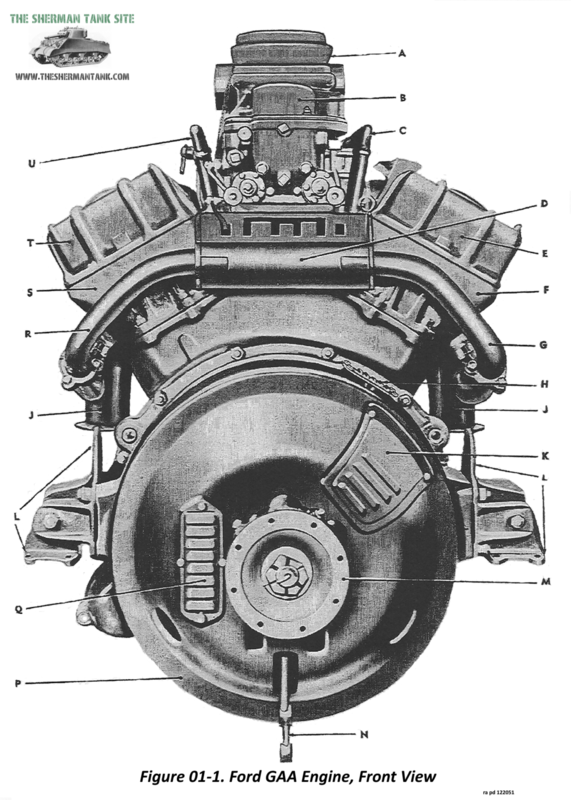 The tanks using this motor were not lend-leased to the other allies in large numbers if at all. 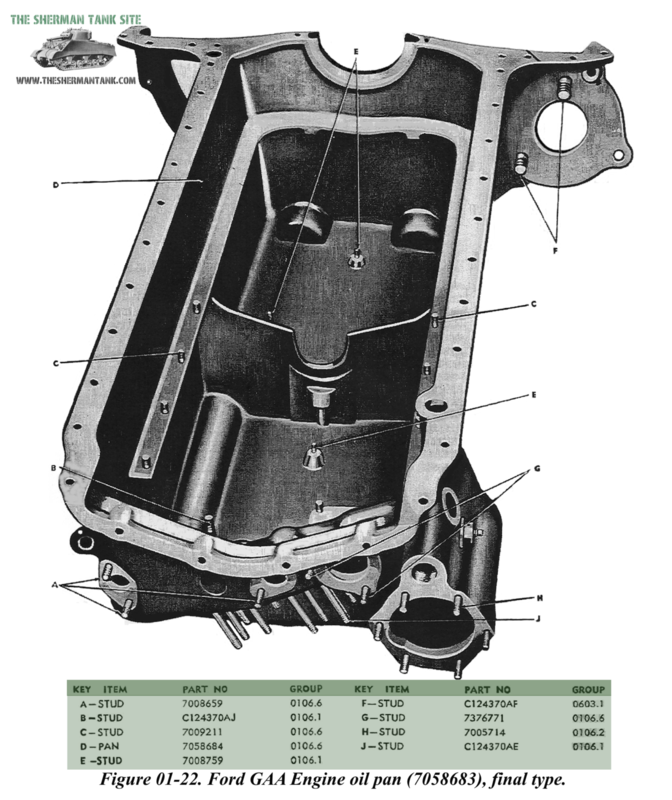 The USSR may have gotten one to evaluate, the UK too, but the Army wanted to switch over to this and stop using R975 powered tanks. 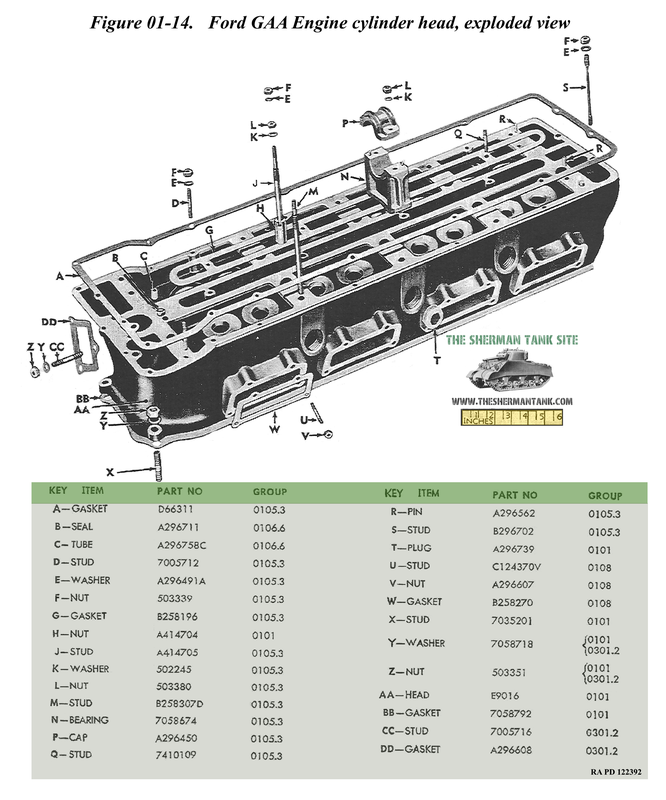 After the war, the only Shermans they kept were M4A3 76w tanks, and over time they converted as many of these to HVSS suspension as possible. 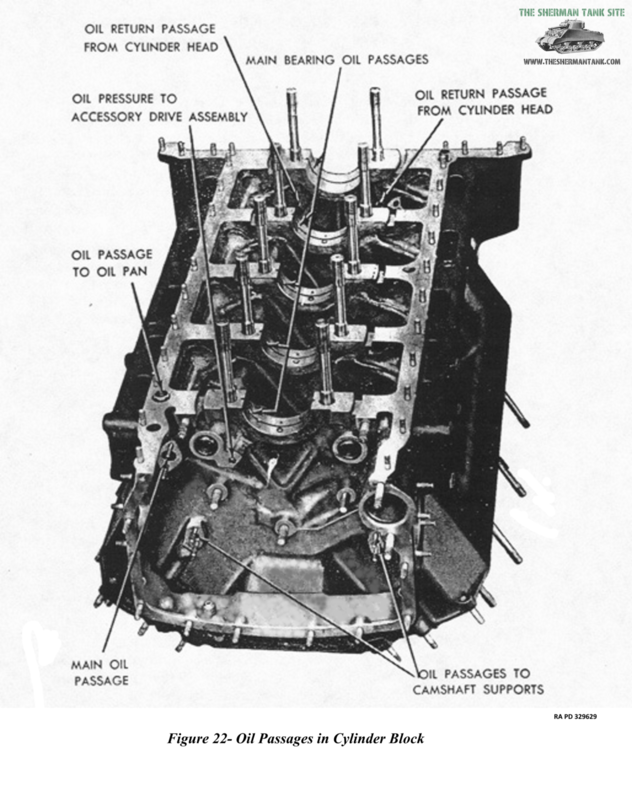 They went as far as swapping T23 turrets from M4A1 76 W tanks onto M4A3 75w hulls. The army would produce several other gas-powered tank engines, but none would really shine like this one did in the Sherman. 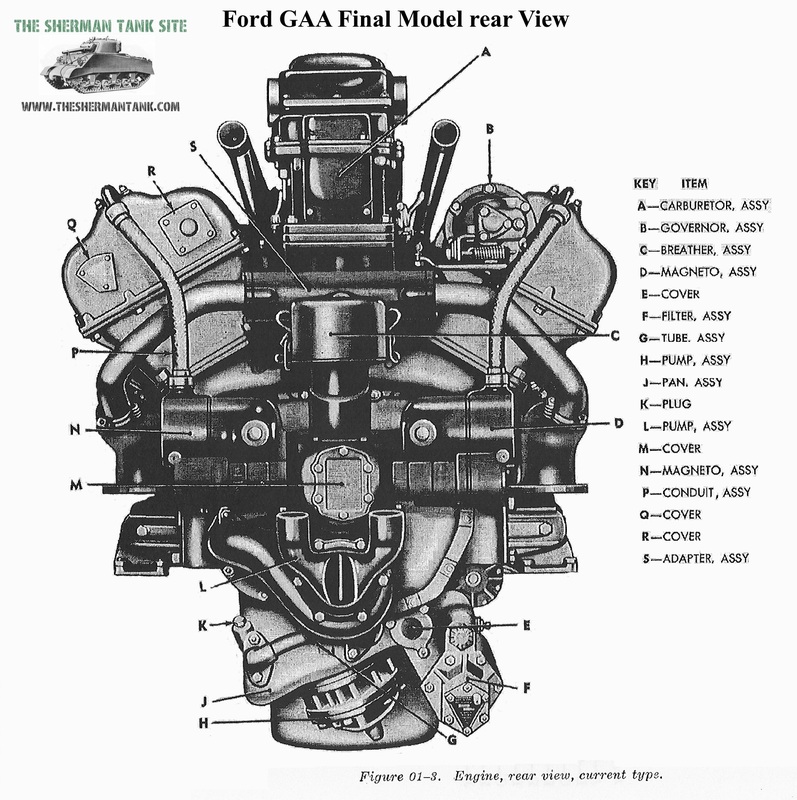 The GAA tank motor started life as a V12 Ford had designed to compete with the Rolls Royce Merlin, after a deal to produce the RR engine fell through. 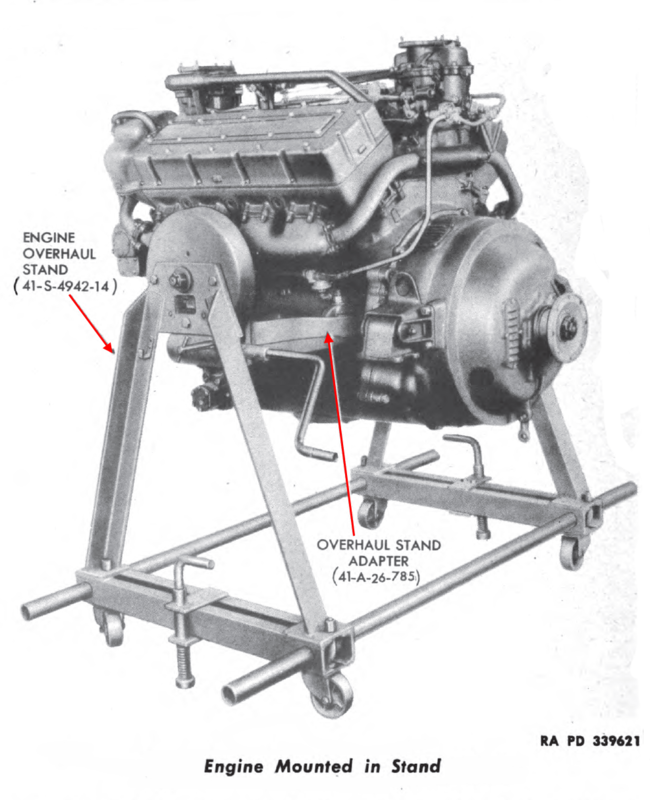 Ford was incensed that a deal could not be worked out and decided to build his own V12 aircraft motor to better the Merlin. 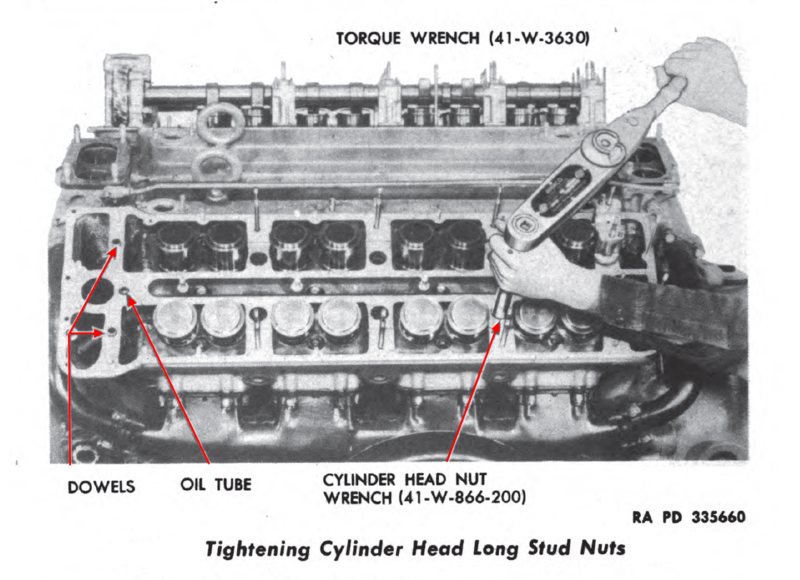 He had probably done just that, but when he tried to sell it to the Army he was turned down, they were already committed to the GM backed Allison V1710, a motor arguably better than the RR Merlin already, and the Ford V12 would have been better than either of them. 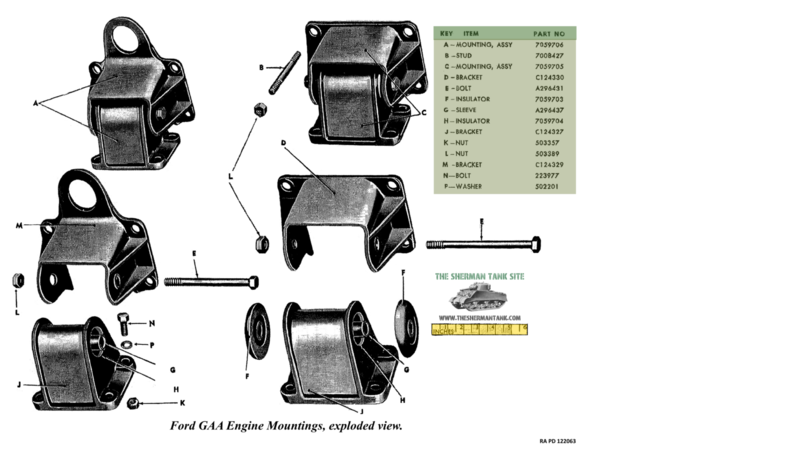 This would not be the last time Ford took on a snooty European Car company. 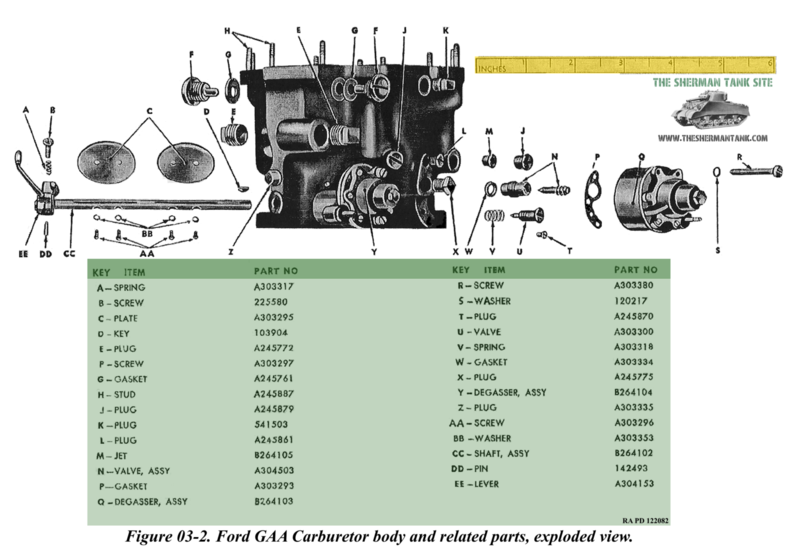 Ford had dropped money on the project, tooling had been produced, and it looked like it would all be a loss. Things got brighter for Ford when later the army needed tank motors he used the V12 he’d designed as the basis for the V8 by removing 4 cylinders. 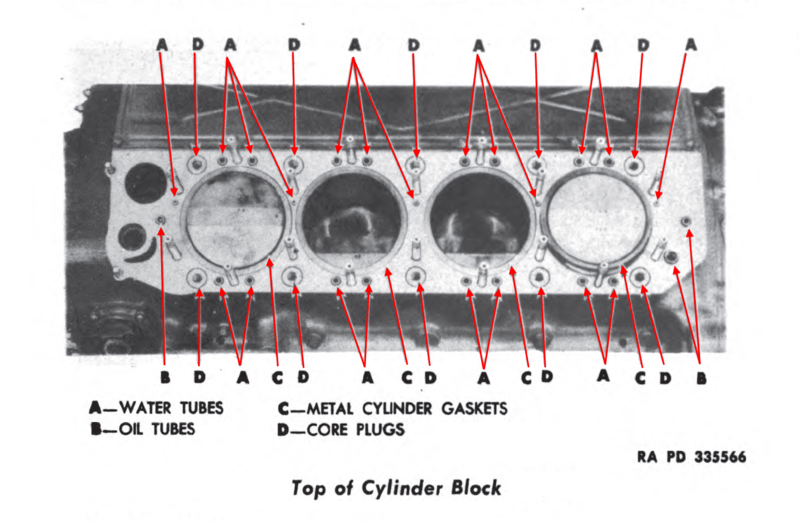 As a tank motor, it was under very low stress putting out only 500 horsepower and could have been really increased in horsepower with a few tweaks. It was also very overbuilt, using many techniques used in aircraft engines, but not automobile ones, mostly the use of safety wires and pinning things in place. 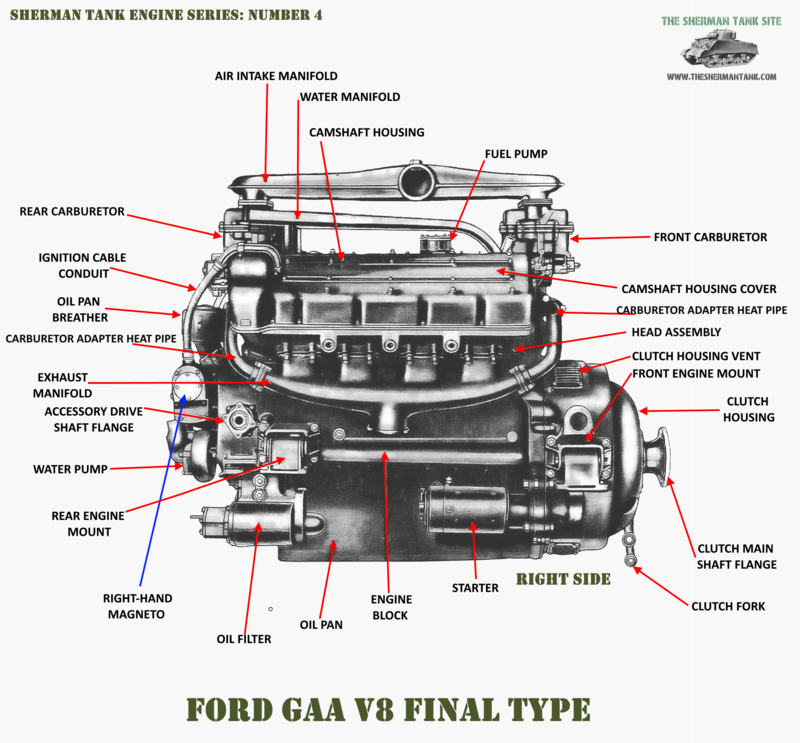 The Ford GAA does not get much credit for how advanced it was. 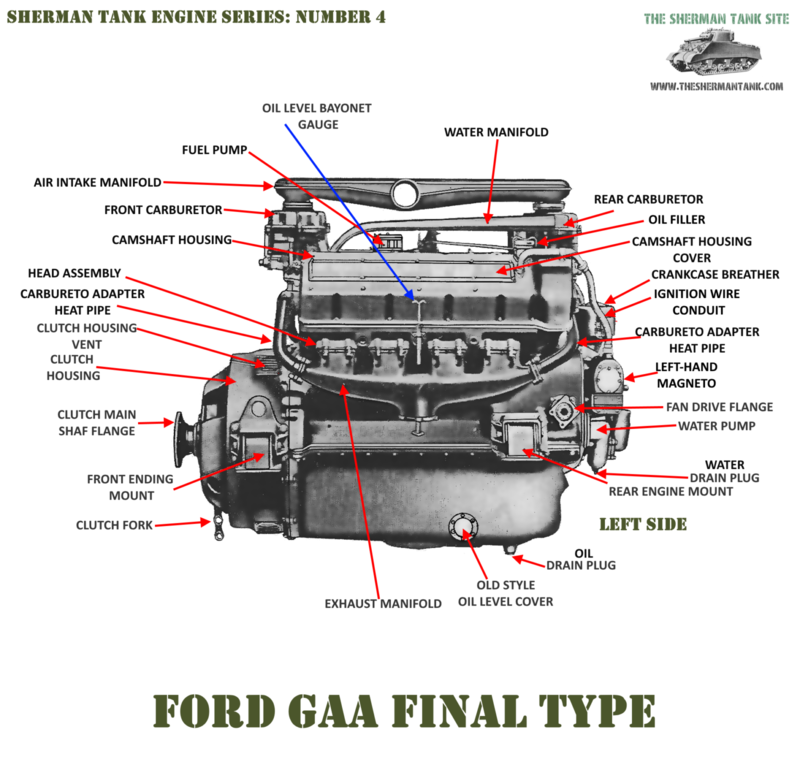 The much talked about, and unreliable as hell, German Maybach HL 230 P30, the motor used to power the Tigers, and Panther tanks, being something special, and it was not nearly as advanced, or as reliable than the amazing Ford GAA V8. 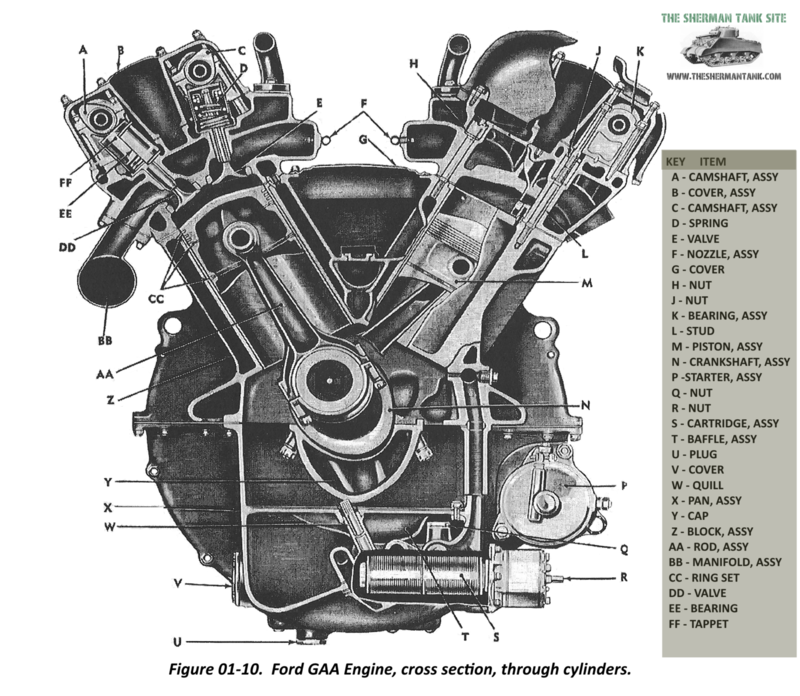 The GAA is apparently the largest gas powered all aluminum V8 ever produced. It has some very advanced features, even for a modern V8, like a one-piece cast aluminum block with dual overhead cams and four valves per cylinder, domed combustion chambers, forged rods, with free-floating wrist pins and forged aluminum pistons. 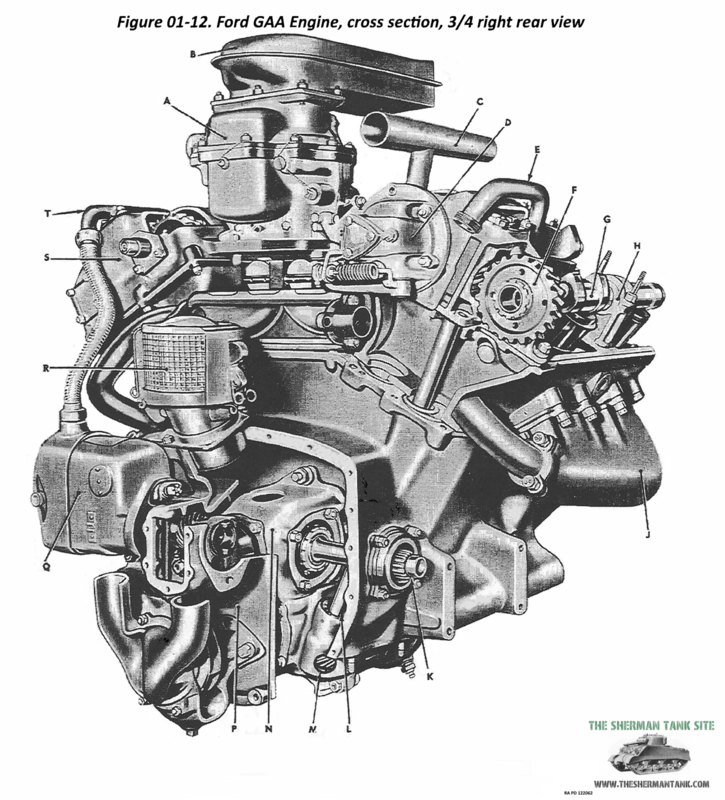 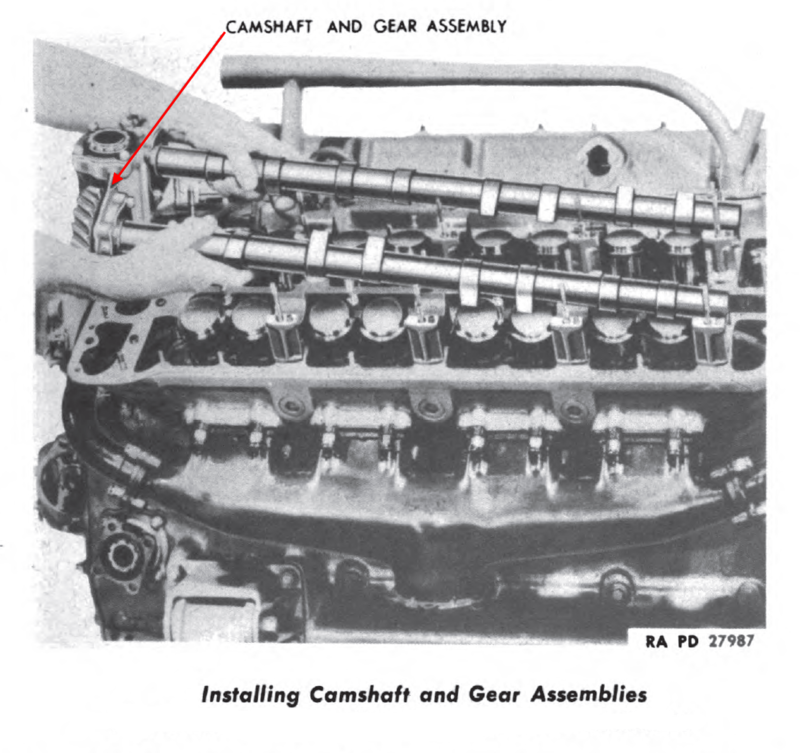 This motor was a true, dual, overhead, cam, motor or DOHC. 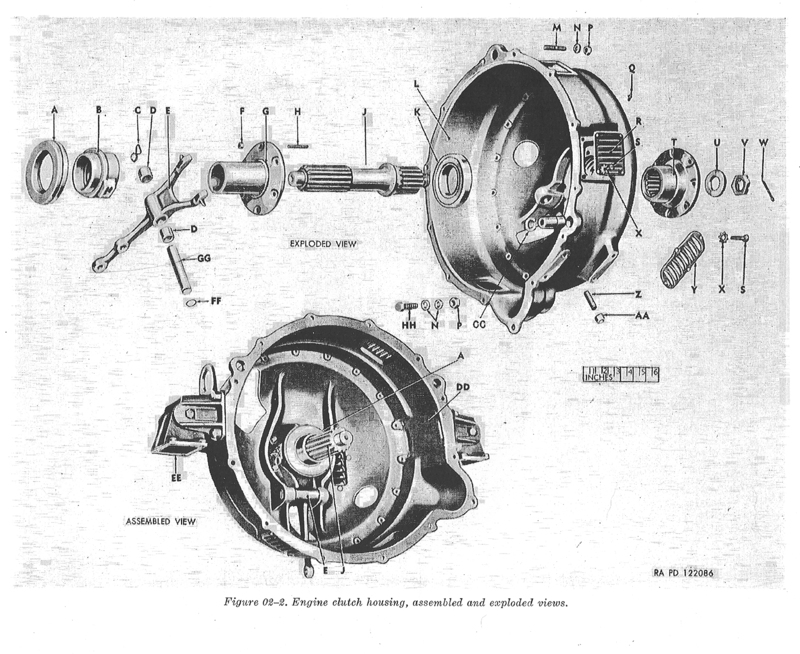 It had a very innovative 8-way power drive system for its accessories, like the generators, fuel and water pumps, and two magnets. 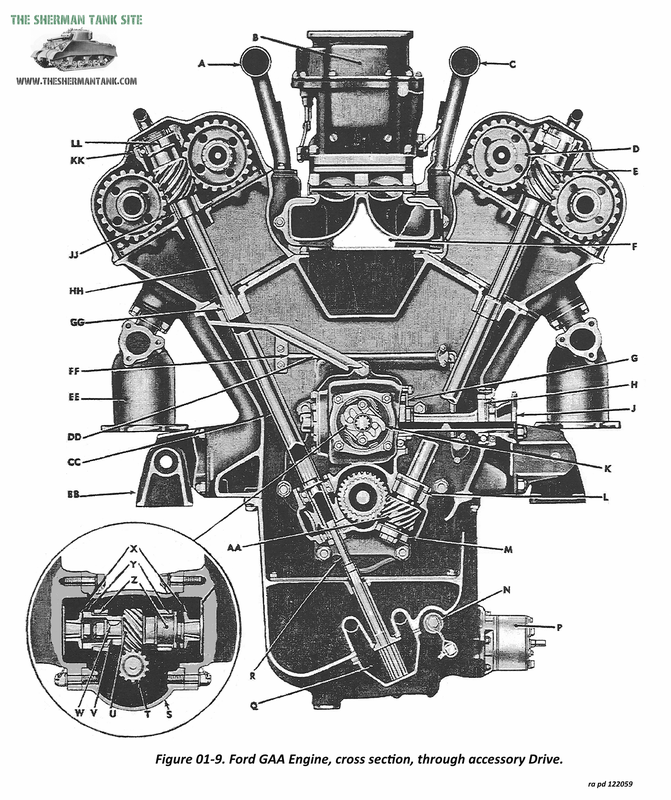 The motor used no belts or chains, everything was gear and shaft driven. 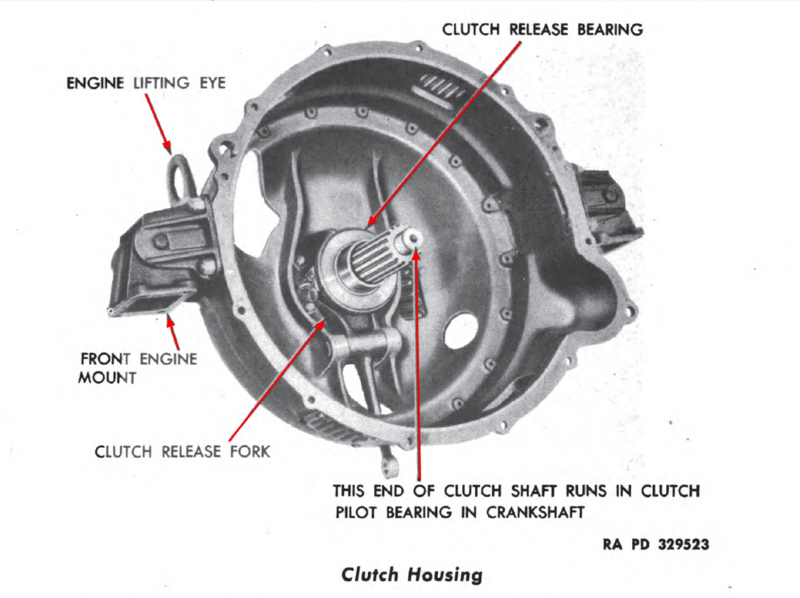 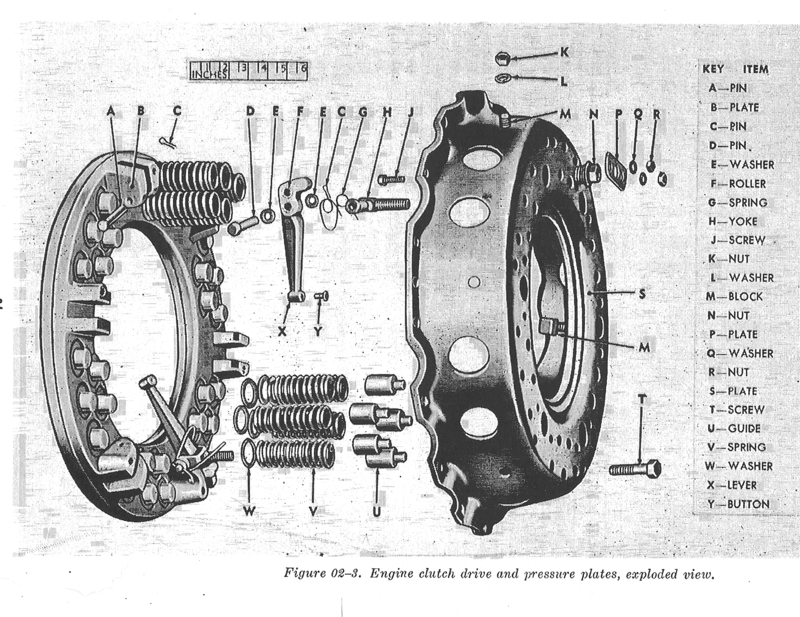 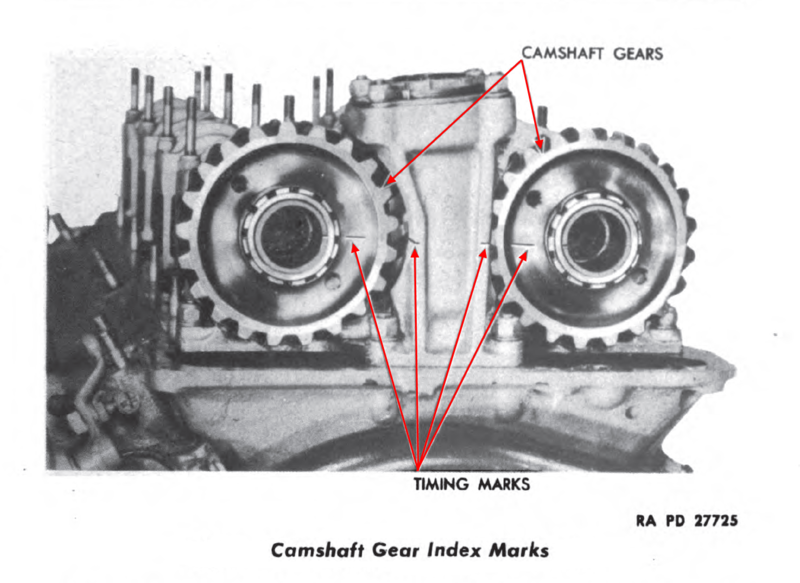 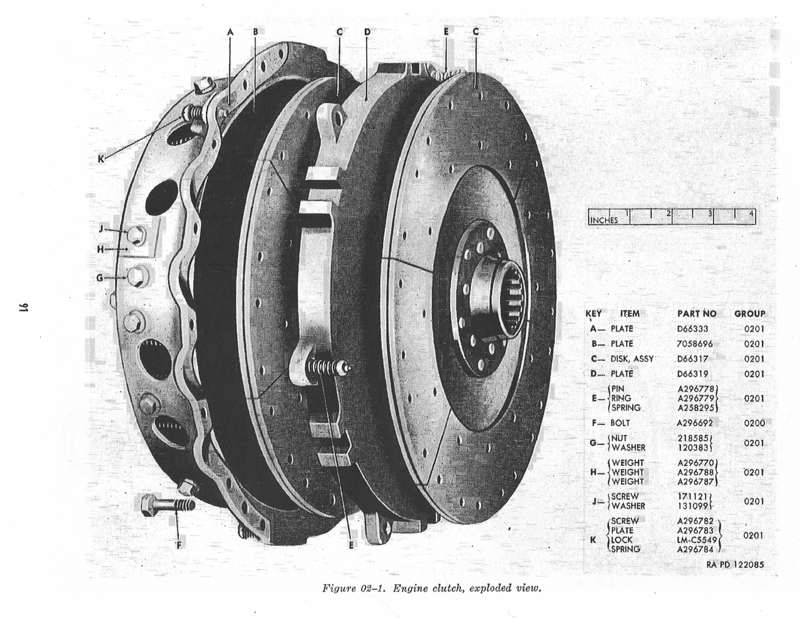 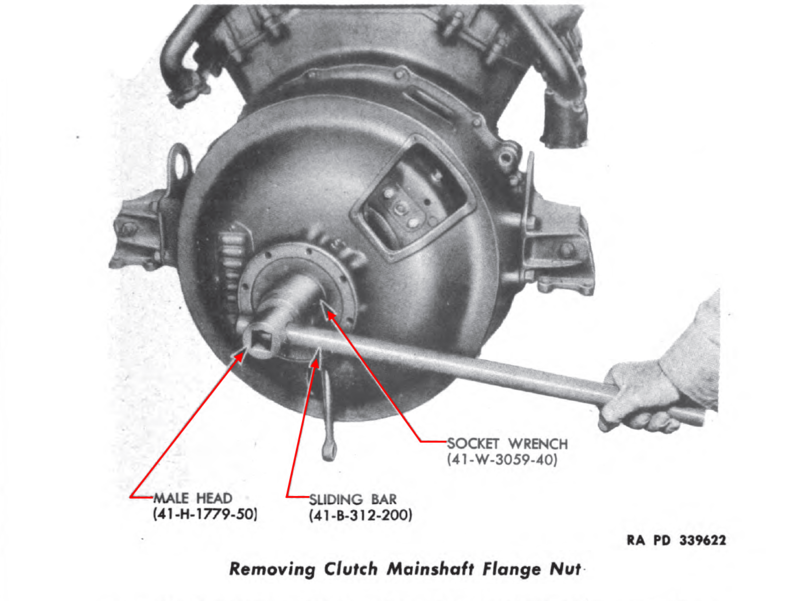 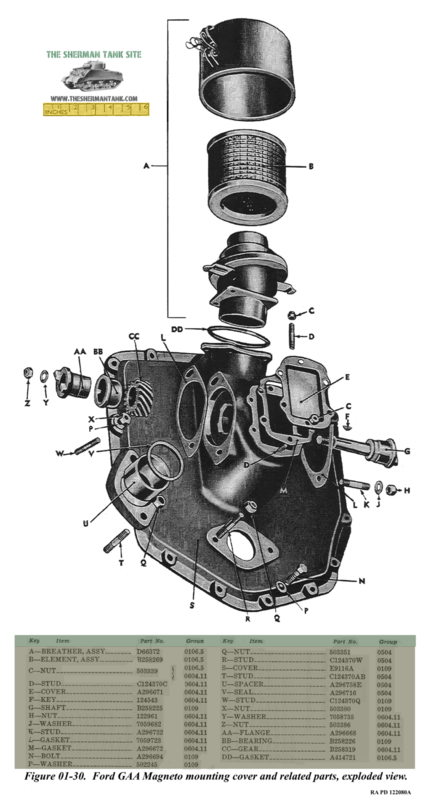 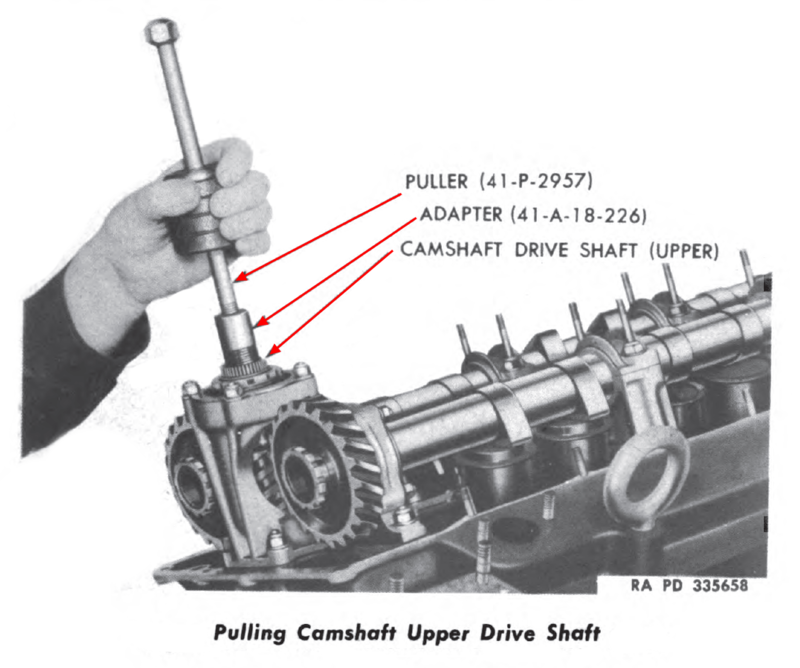 There was an early and late version of the motor, with minor changes, the biggest being the discontinuation of using four-bolt main bearing caps since they were overkill in this low-stress application. 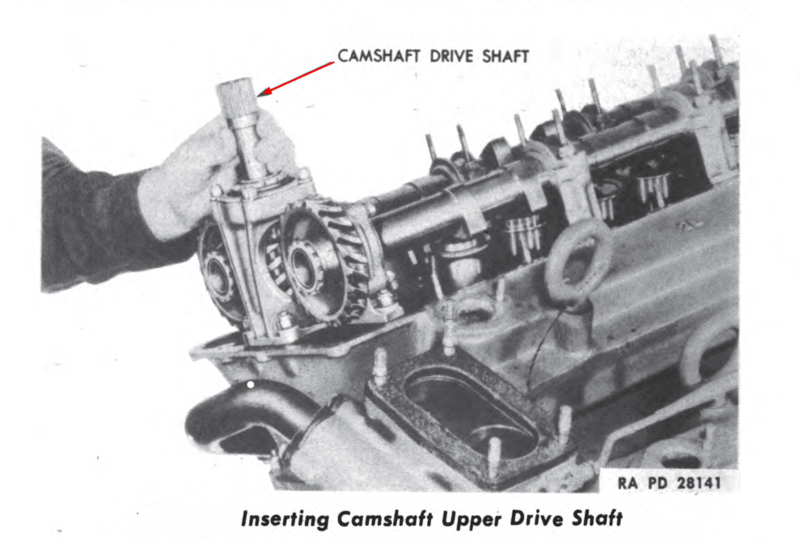 With further development, this motor could have easily produced 1500 horsepower. 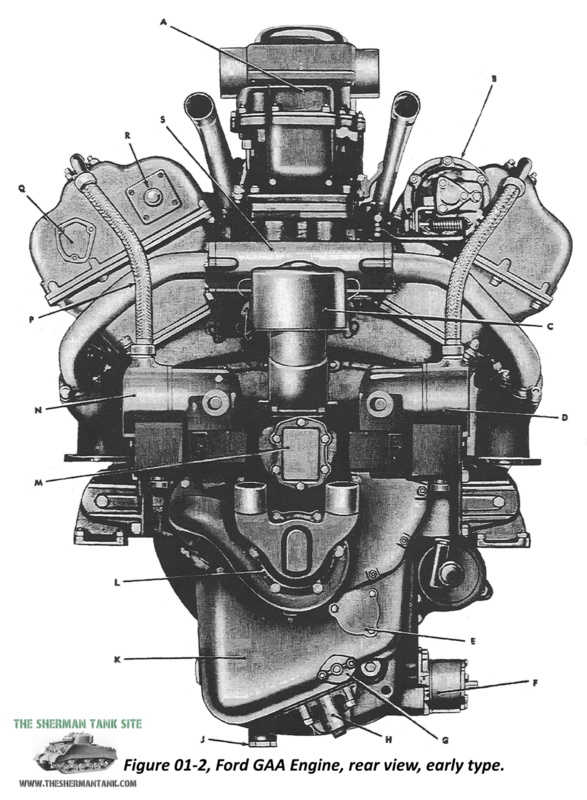 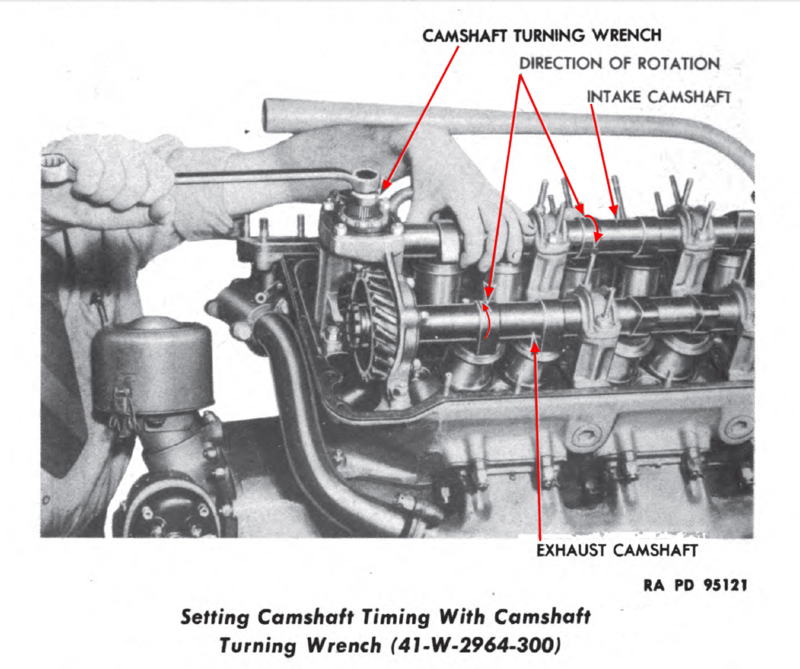 This would have taken some carburetion and head changes but was possible, and with modern computer controlled fuel injection and turbos, these motors have made in excess of 2500 horsepower. 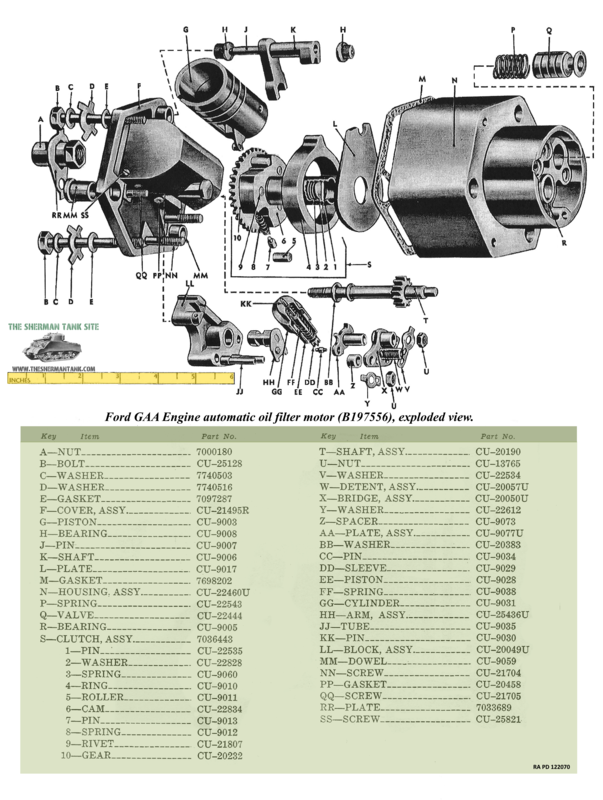 These motors are still used to this day with these modern upgrades in Tractor pulling competitions.